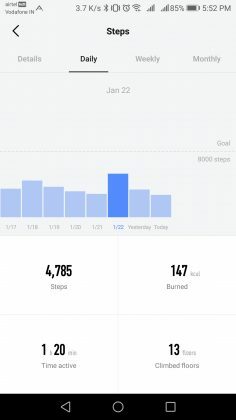 Smartwatches make a lot of sense for me – they give me the most relevant information through notifications and quantifiable data to improve my fitness and keep my health on track. 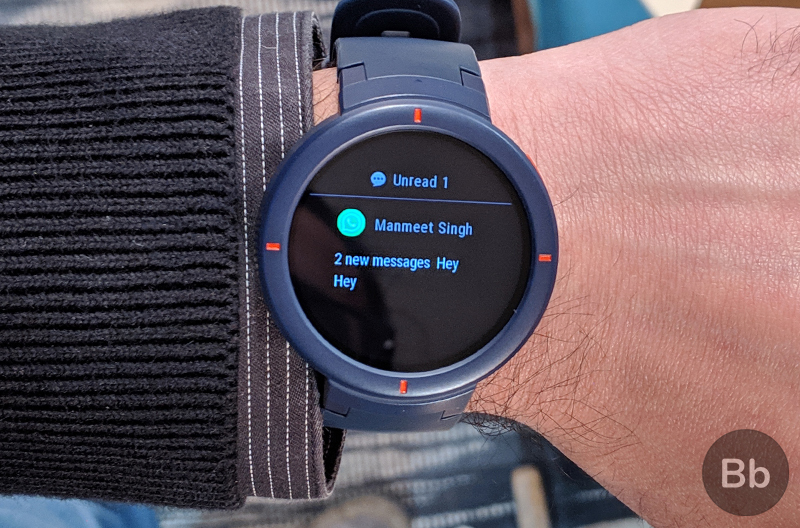 For times when you don’t want to pick up that 6-inch slab to dismiss yet another irrelevant notification, a smartwatch can come in handy by allowing only certain notifications through and keeping the rest away. And of course, when you want to go on a run or want to work out, the smartwatch can intelligently track your progress. 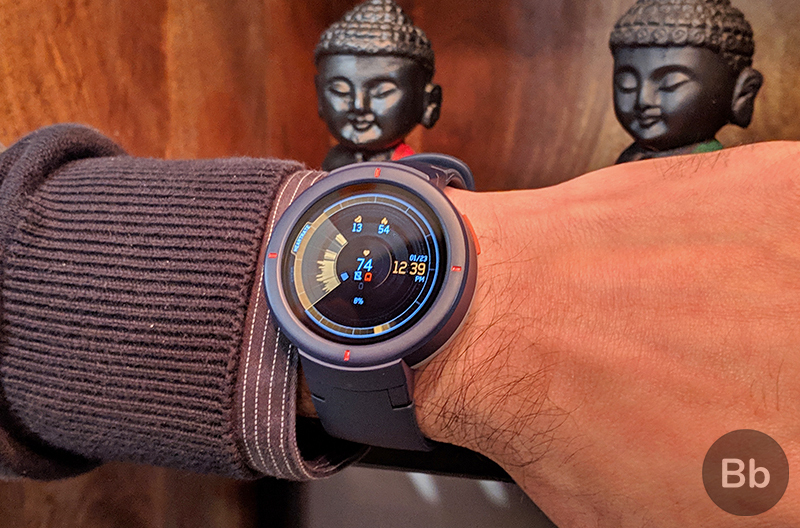 Clearly, I find smartwatches more useful and less distracting than smartphones and in this review, we will see how well the new Amazfit Verge (Rs 11,999) by Huami justifies these expectations. 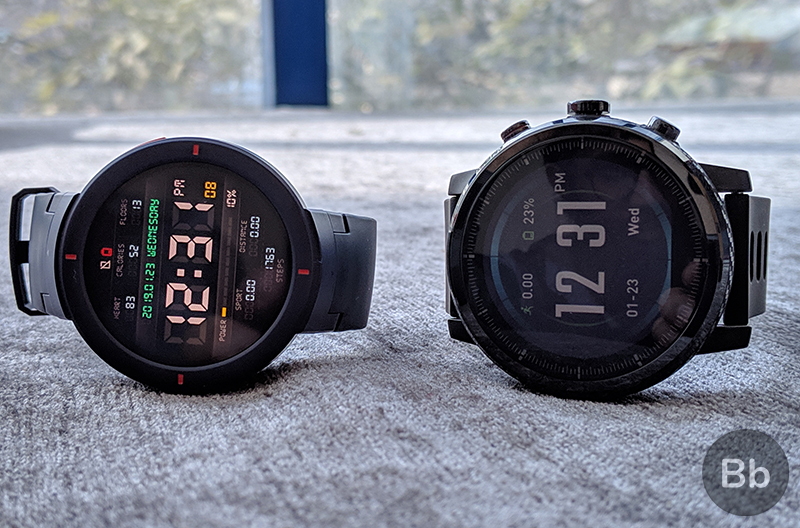 Huami’s Amazfit, backed by Xiaomi, has put out a couple of compelling smartwatches in the past including the Bip and the Stratos, and now the Amazfit Verge joins the clan with a richer and better display, a sportier look, and a relatively more appealing price tag. Let’s get the ball rolling by learning about the specifications and the box contents of the Amazfit Verge smartwatch. The Verge has a different fucntion for the button (which we’ll talk about in the later sections) compared to the Bip and the Stratos. I wish this was more apparent in the user manual so that users, at least the new ones, felt more confident about the purchase. Other than this, I am quite happy with what we get in the box. Let’s move further and get to know about the build and the features of the Amazfit Verge in detail. The Amazfit Verge, from the very first look, seems designed for sports. The circular 1.3-inch display is housed in a plastic casing, with separate halves for the top and bottom shell. Despite the use of polycarbonate reinforced by glass fiber, the build feels very firm and stable and designed for action. The Home button lies on the side of the Amazfit Verge along with a tiny microphone for calls. The button has a shallow travel and does not feel very posh, even though it is fairly tactile. 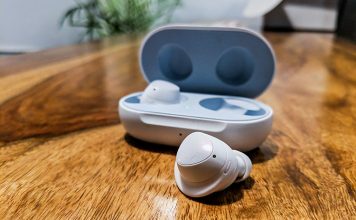 On the other side, there’s a modest loud-speaker which can be used to listen to music or take calls when you’re on the move. Amazfit has also guaranteed protection from dust and splashes of water with an IP68 rating, which means you need not take the watch off in the shower or while out in the rain. However, the watch gets no mention of protection against swimming, so it is advised to avoid using it in the pool. On the front, the Amazfit Verge uses an AMOLED display protected by Gorilla Glass 3, making the smartwatch suitable for more some rugged usage. 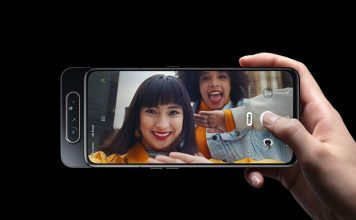 Despite the anti-fingerprint coating, the display can be smudged very easily, especially because you must cover the display with your palm to unlock it. The display also houses an ambient light sensor which is used to automatically adjust the backlight of this AMOLED display. Coming to straps, the Amazfit Verge uses Silicone watch bands which you can bend or stretch easily without fearing that it might break. 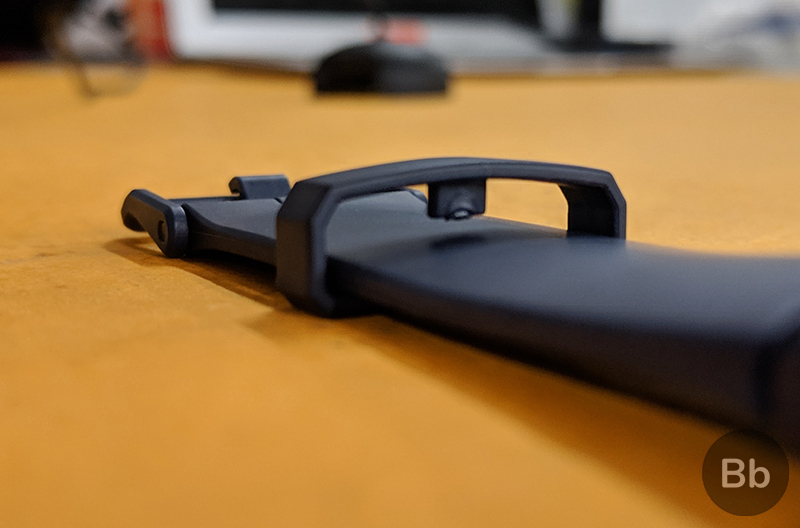 The buckle on the strap is made of good quality plastic and the strap loop has a single tooth (see below) to prevent it from sliding off when worn. This, however, also makes taking off the watch somewhat inconvenient. These straps are removable but the angled design of the tiny lugs might restrict you from choosing just any third-party band. 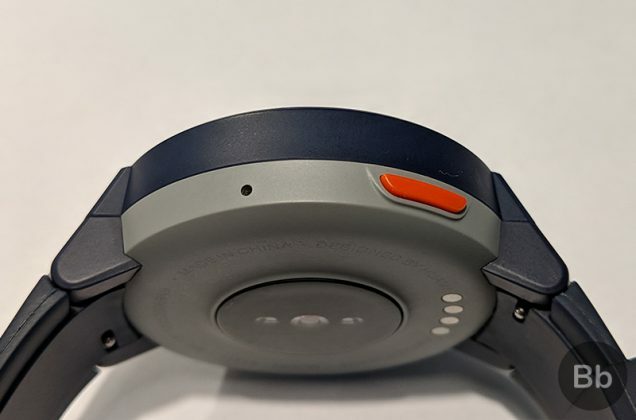 This is unlike both Amazfit Stratos and Amazfit Bip which allow easy replacement of the factory-made straps. 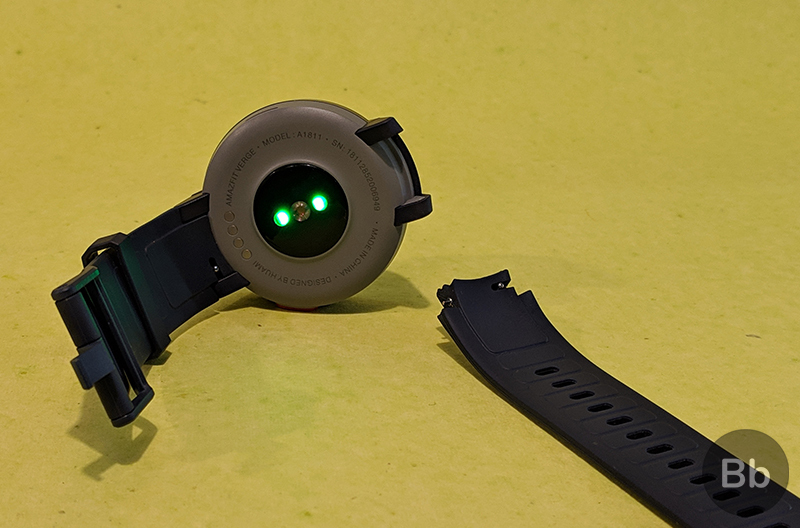 Further, even Amazfit itself does not sell replacement bands so this can be a bit troubling for certain users. 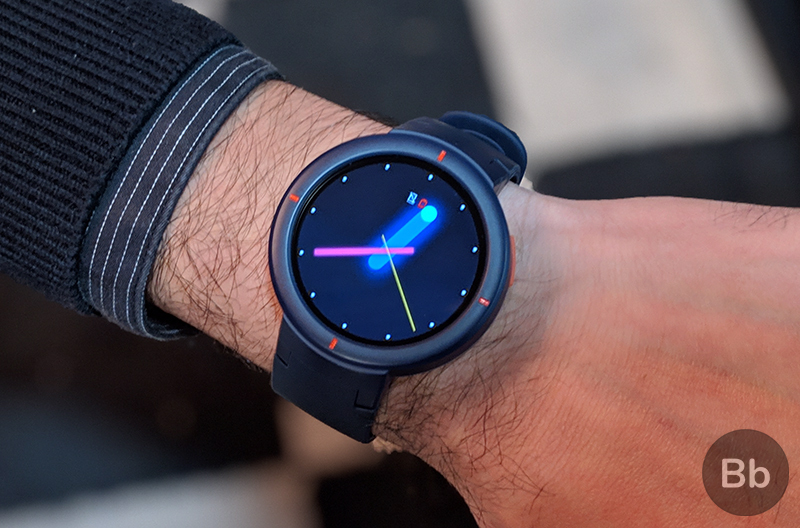 Design-wise, the Amazfit Verge feels very durable and well-built and although it is thicker than a centimeter, it feels very light on the wrist at almost 46 grams. While the Amazfit Verge does not feel as premium as the Stratos, the polycarbonate design gives it a sportier look. 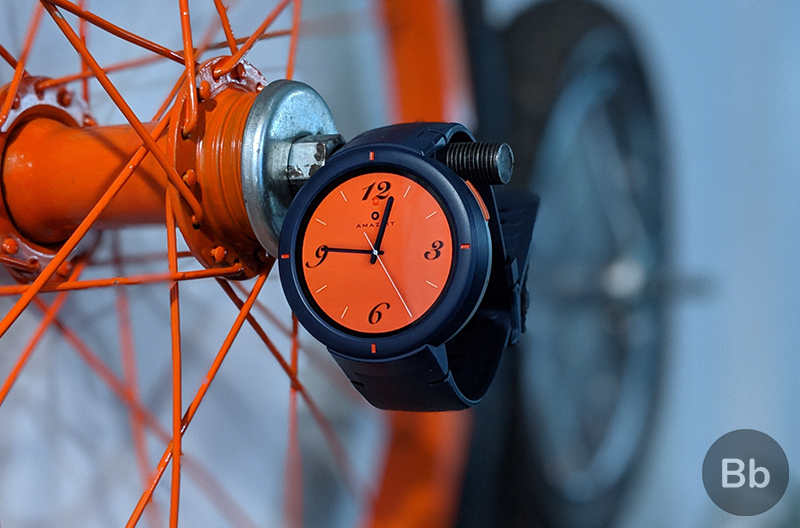 It might fail to grab other people’s attention but the utilitarian design is less intrusive compared to other heavier and metal-clad smartwatches when it comes to sports or fitness activities. Now, let’s take a look at how the display functions. Spoiler alert: if you’ve been using an older Amazfit smartwatch, you might feel jealous. Earlier smartwatches from Amazfit performed really well but were plagued by poor readability and color reproduction of the reflective display. The company now seems to have learned its lesson with the Amazfit Verge which uses an AMOLED display, which is instantly much more appealing and striking than the displays on Stratos and Bip. This 1.3-inch circular display features a resolution of 360×360, which makes it really sharp and easily legible. 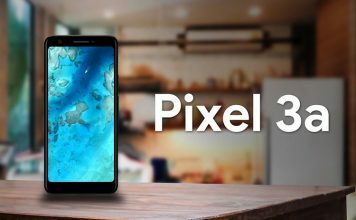 Owing to the use of AMOLED technology, the display is very bright, has an excellent color reproduction including deep blacks. The vibrant and saturated colors of the UI icons and other elements complement this great display and I loved how beguiling the official watchfaces look on this display. Depending on the watchface, one can also activate always-on display which displays the time and some other basic info at a lower brightness. This can help help you save the battery when you just want to check the time, and also reduces unneccessary wakes. The AMOLED display is very responsive but there’s no haptic feedback in response to the touch. Any observable lag is due to the limited hardware and software resources and not due to any latency in touch. The display is embedded with an ambient light sensor which helps the smartwatch manage the brightness automatically. Under water, or in the shower, the watch is usable but there’s no special mode for using it with gloves. Amazfit Verge scored full marks when it comes to the quality of this display, which has colors to put budget smartphones with LCD displays to shame. The Amazfit Verge runs a custom UI which, as per the product description page, is based on Android. The interface cleanly laid out, with large menu icons and intuitive navigation – although there are no tutorials offered by the company and the users will have to figure it out by themselves. Like other smartwatches, the Verge lets you customize watchfaces and choose from among the 11 pre-existing ones by long pressing on the home screen. Swiping upwards from the bottom opens up notifications, while swiping in the opposite direction shows the quick settings panel where you can toggle options including sleep mode, airplane mode, volume, brightness, settings, and the option to restart or shut down the smartwatch. Moving forward, swiping from right to left opens a vertically-scrolling menu. This includes a host of features such as Health, Heart Rate, Sports, Sleep, Activities, Phone, Alarm, Timer, Stopwatch, Compass, and Settings. Health shows general stats like the numbers of steps walked, floors climbed, and a history of data from the past week. The Sports option lets you start logging of 12 different types of physical activities manually but as I mentioned before, swimming is not included. Furthermore, the Activities menu shows an overview of your workouts in the past. All these options are laid out in two columns and the display shows you a 2×2 grid at a time. Each option has a slender animation in which the icon (or the UI element) shrinks slightly and then comes back to its original size with each tap. Moreover, elements like Heart Rate have their own interactive animations to show progress. Each tracking-related feature shows you a summary of the data from the past week, which is displayed on the beautiful display using dedicated colors per option. Besides this, the watch also supports widgets so that individual features can be accessed directly, the number of widgets is limited to two, which is slightly disheartening. 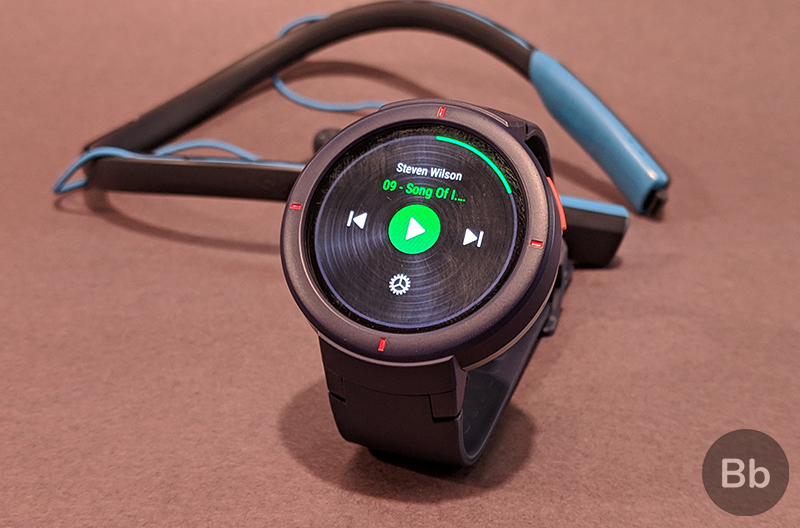 The Amazfit Verge lets you store and play music files through the speaker – or a connected Bluetooth headset. The speaker, coupled with the mic, is also useful for calling. These features are very elaborate, especially calling, which includes a full numeric keypad for dialing phone numbers. During calling as well as while playing music, one can find a dedicated option to manage the volume. Additionally, you can also control the music playback on your smartphone with the Verge. When it comes to the fitness features, Amazfit Verge has detailed real-time tracking including the workout time, steps taken, distance traveled, heart rate, average speed, battery percentage, and even the route, captured with GPS, in case of outdoor runs. However, while tracking an activity, you cannot tweak or access other options apart from the volume and the brightness. If you wish to use a Bluetooth headset, you must connect it before starting the activity, as there’s no way to change it in the middle of the session. The Home button is useful for unlocking the locked display and to exit any menu and take you back to the watchface while using the Amazfit Verge. This is in contrast with the Bip which uses its single button for going a step back, as well as from Stratos, which uses the main button to select an option and the other two to scroll through the menu. On the Verge, you can go a step back by swiping the screen from left to right. Lastly, in order to lock the screen, you can cover it with your palm and a double tap on it when it is locked, unlocks the watch. The Settings menu can be a bit challenging initially, especially because the text is too long in many options, but once you set up the basic settings as per your preference, you will only need to visit this page occasionally. Overall, the UI feels fluid most of the times but it might get jittery if you open a lot of in-built apps at the same time, sometimes even resulting in a crash and reboot. The visible lag, whenever it appeared, is due to the underwhelming dual-core processor, and only 512MB of RAM, as we will see later. The main elements for tracking your health and fitness on the Amazfit Verge include a massive heart rate monitor on the back. It also supports continuous heart rate monitoring but there is no option to choose the intervals for intermittent tracking. The smartwatch shies away from gimmicky features like Blood Pressure or SpO2 monitoring and focuses on the essential ones. When it comes to tracking sleep, it captures the duration of light and deep sleep zones and any instance of you waking up at wee hours. 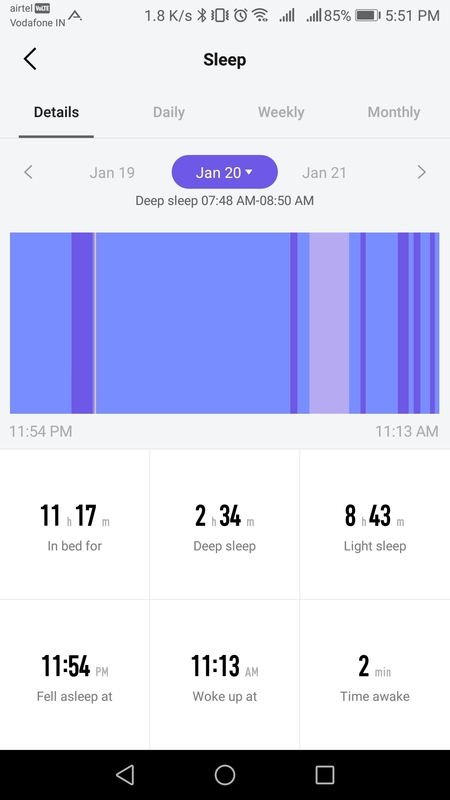 Besides night sleep, the smartwatch can also track naps during the day. 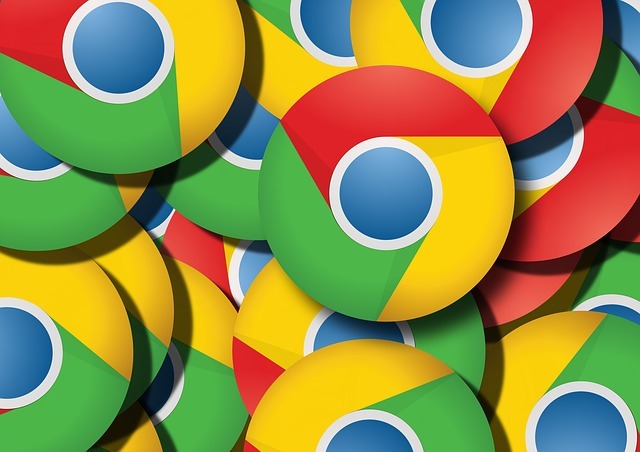 The Verge is capable of tracking a host of indoor and outdoor activities. I have mentioned in the previous section most of the variables it shows during and after the physical activity. The smartwatch can also capture parameters like the average length of your stride while running, which is good for serious runners. When it comes to the accuracy, the Amazfit Verge captures data such as heart rate, number of steps, or other vital stats during exercises with a significant amount of detail and accuracy. This information can be accessed with greater detail using the official Amazfit Watch app. 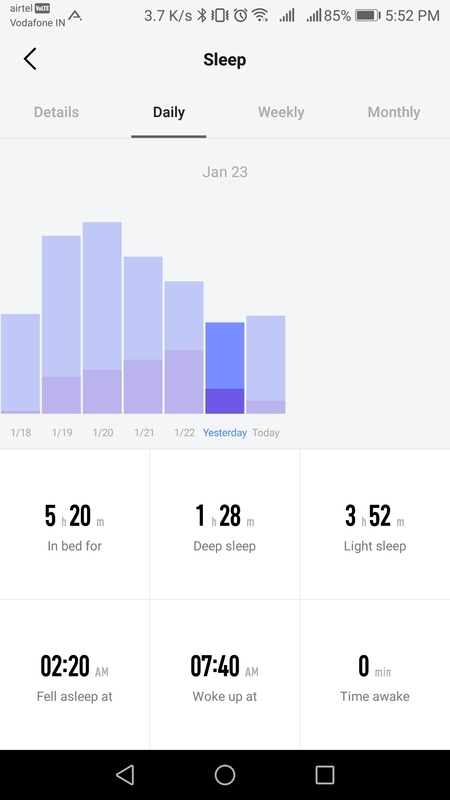 The only crucial element absent from the smartwatch is the feature to track swimming-related activities but apart from that, I have not experienced any random or unexpected spike in this tracking data, and this holds good even when you’re moving. While Amazfit cannot capture data related to exercises automatically, it does have an option to prompt you every time it senses the beginning and the end of physical activities. During my week-long usage for the review, however, I failed to witness the feature actually working, and had to toggle the option manually. This data output by the Amazfit Verge is comprehensive enough to let you plan your workouts effectively or get better sleep. It’s also extremely reliable in most cases. Amazfit Verge is equipped with a 1.2GHz dual-core processor which runs decently in tandem with the 512MB RAM most of the time but might feel underpowered at times. One might have a jittery experience upon opening a lot of inbuilt apps at the same time. Besides the processor, the accelerometer is useful for tracking movements during sleep and also wakes the display when you lift or flick your wrist, which can be turned off in the Settings. While the Amazfit Verge comes with only 11 inbuilt watchfaces, it allows you to use third-party watchfaces. 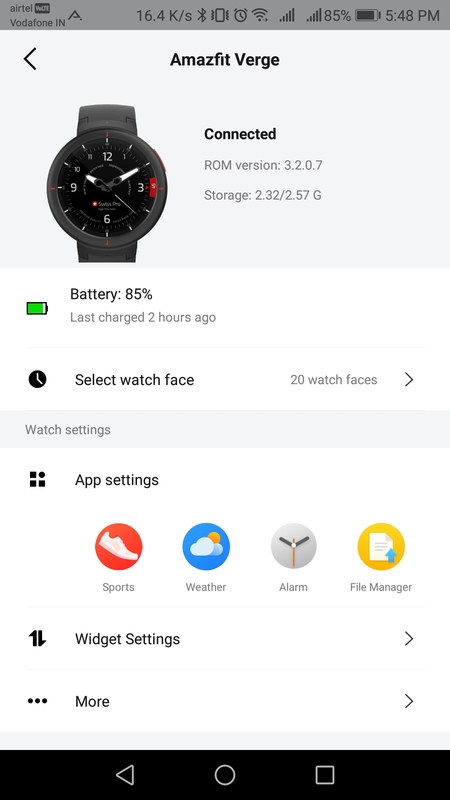 Amazfit Watchfaces is my go-to destination from where I download unofficially developed watchfaces for free. 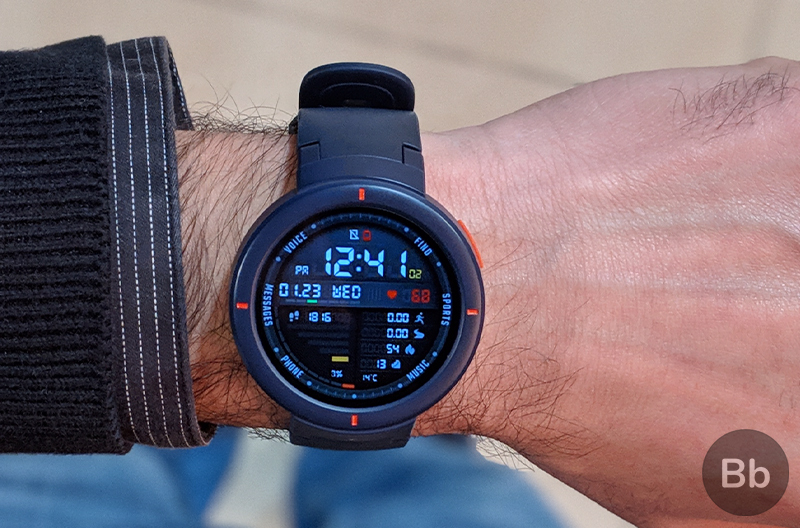 Since the Amazfit Verge is fairly new, the number of available options is smaller compared to Bip or Stratos but the developers have ported a fair amount of watchfaces from Stratos, which also has a circular dial. Here you can download the watchfaces in WFZ format and transfer them to the watch directly by connecting it to a computer via the USB charging cradle. 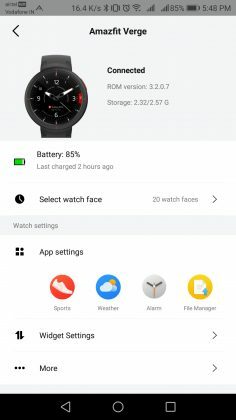 While there is decent support in terms of watchfaces, the Amazfit Verge does not support installing apps – despite being based on Android (although the company does not explicitly mention that the UI is built upon Google’s Wear OS). So, if you’re looking to expand the functionality of your smartwatch or customize it beyond watchfaces, you might want to pass on the Amazfit Verge. 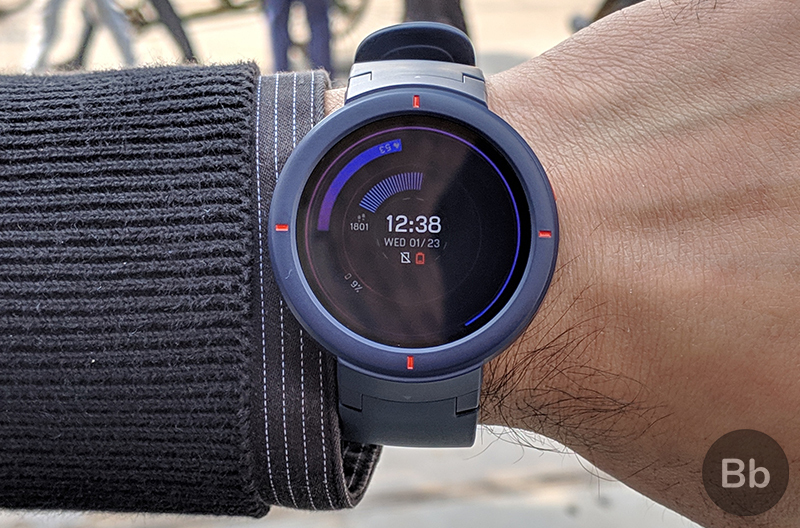 Apart from Bluetooth to connect with the smartphone or wireless headphones and speakers, the Amazfit Verge features (2.4GHz only) Wi-Fi which can be used to transfer data including music files quickly to and from the connected smartphone. Additionally, Wi-Fi can also come in handy for finding the newer updates for the smartwatch. Verge, as I mentioned above, also supports file transfers over USB and you can use the bundled charging dock to transfer music files or watchfaces to it. 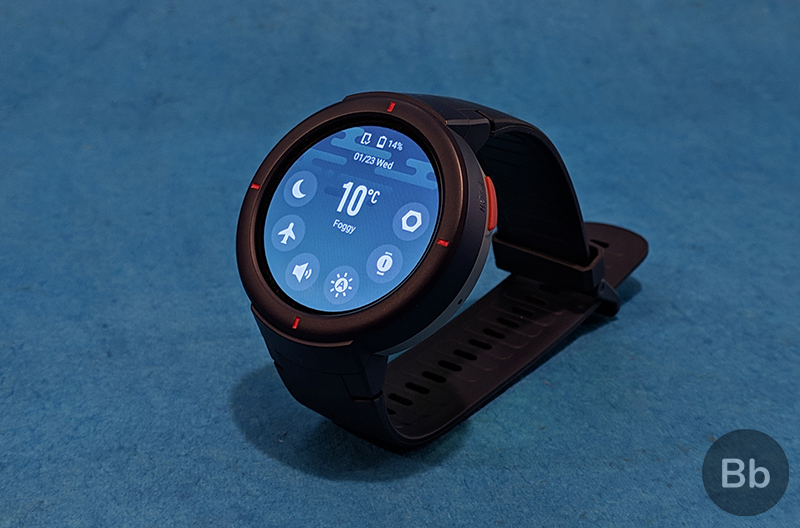 When connected with a PC or other smartphone (via OTG), the smartwatch shows a file system similar to a standard Android phone. I really like the mass storage option and it makes transferring watchfaces or music files very convenient. Powered by a 390mAh battery, the Amazfit Verge is claimed to last around five days of moderate usage. 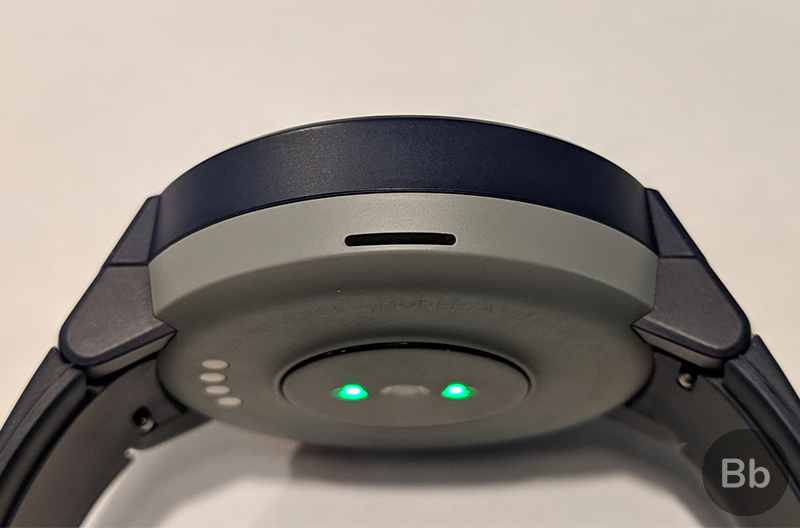 In my usage, the watch stayed alive for over two-and-a-half to three days easily with continuous heart rate, always-on display and brightness cranked to full, and GPS monitoring switched on. With heart rate measurements set to manual and always-on display switched off, the battery life increases to almost four days, which is satisfying. 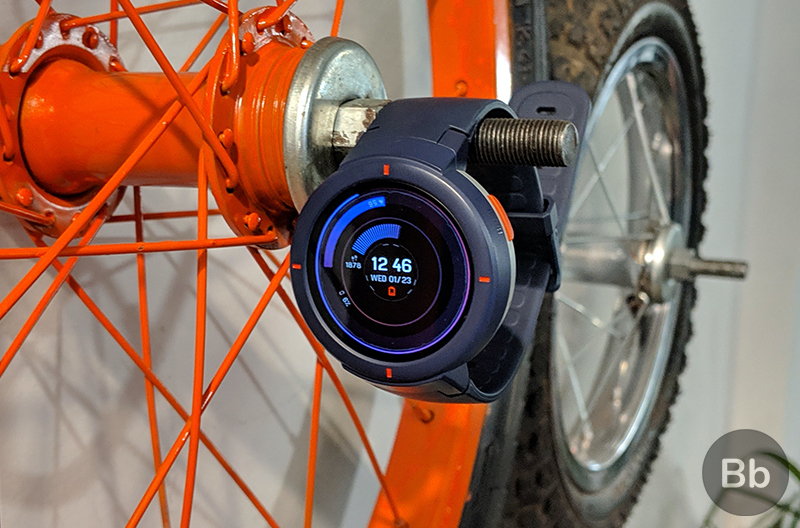 For charging, the Amazfit Verge takes no more than two hours while using a basic 10W charging brick. You can also charge it using your PC, and the time taken for the process is almost the same. So overall, I find the Amazfit Verge very pleasing in the department of power. 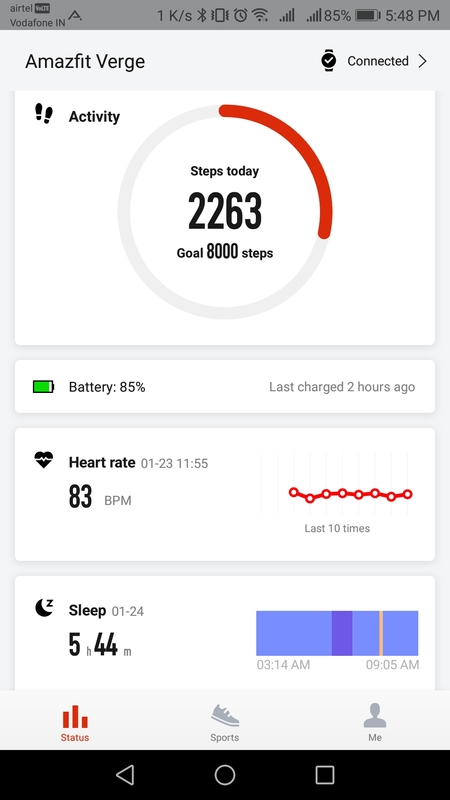 The official Amazfit app (free, Android, iOS) can be used to see your fitness data and vital stats such as the data related to your physical activities, heart rate, and sleep-related information. All of the data can be seen on daily, weekly, or monthly basis, and you can also drag your finger across the graphical charts to pan to a specific time. Besides showing your essential data, the app also lets you change the order of widgets and choose watchfaces. Moreover, there is an option to share this data on social media, or export it as binary files, as well as the option to link your Strava account for running and cycling data. 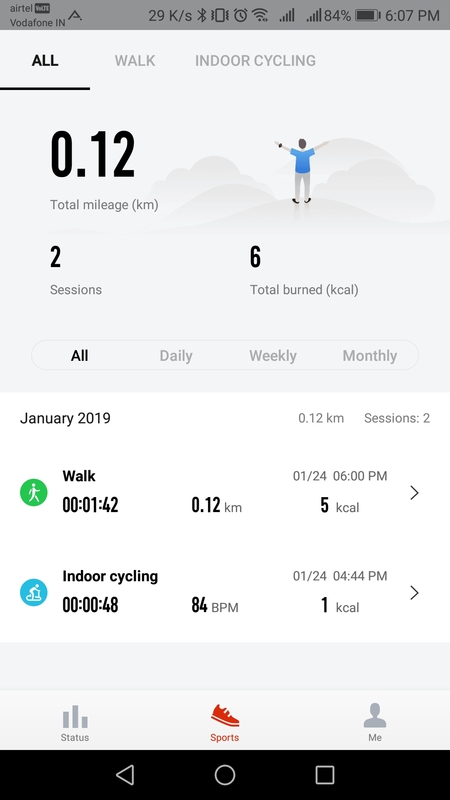 Despite looking beautiful, the Amazfit app doesn’t have essential features such as the option to link Google Fit or Mi Fit data, even though logging in with your Mi account is supported. 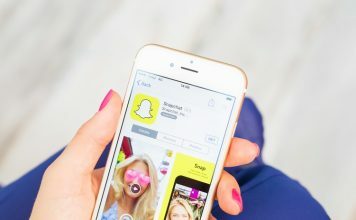 Further, you can neither change the frequency of automatic heart rate scans nor change the settings for gestures like lift-to-wake or automatic tracking from the app, which is disappointing. Besides that, what is crushing is that this data is not synced to the cloud. Lastly, unlike other Amazfit watches, the Verge has not gained support from third-party companion apps yet. This means that we’ll have to wait to be amazed by Amazfit in terms of the supported features within the app, which is a shame. Amazfit Verge, in my experience, has turned out to be a great smartwatch for the price. 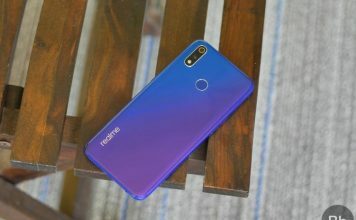 Available in blue, gray, and white colors for Rs 11,999 on Amazon, the Verge undercuts its own sibling – the Stratos (Rs 13,999) – because of an attractive and rich AMOLED display, and a light and non-intrusive form factor. You can connect the Amazfit Verge to a computer as a USB mass storage, which is more appealing to me compared to the onboard Wi-Fi. However, despite being built on Android, the interface omits support for additional apps – although unofficial watchfaces are supported. 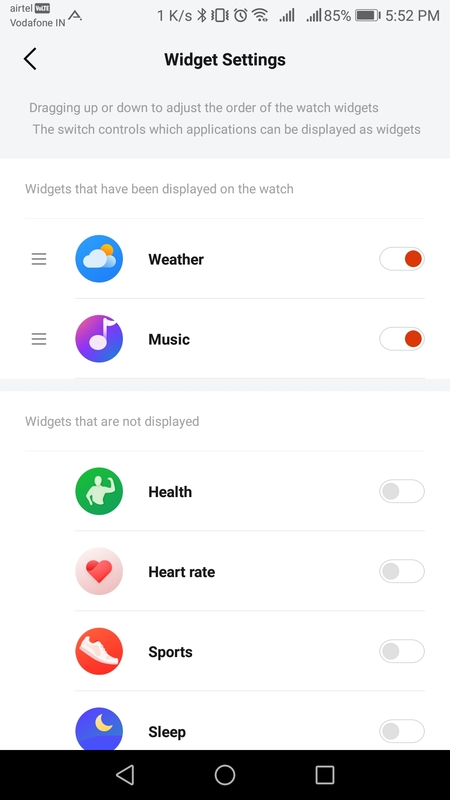 Furthermore, the compatible Amazfit app for Android and iOS lacks critical features for modifying the settings on the app and has poor sync capabilities, leaving the Amazfit Verge out by itself. Apart from this, there’s no support for swimming-related activities, which can be a deal-breaker for swimming enthusiasts or professionals. 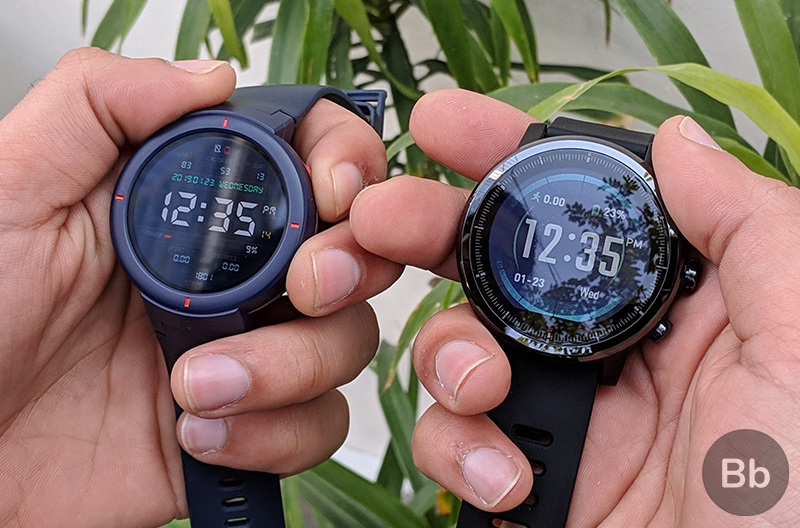 All in all, the Amazfit Verge is on the verge of being the best smartwatch in the segment but lags behind the Samsung Gear Sport (Rs 14,000) due to its limitations mentioned above. With all its positives and negatives, the Amazfit Verge seems like an option worthy of your expenditure. 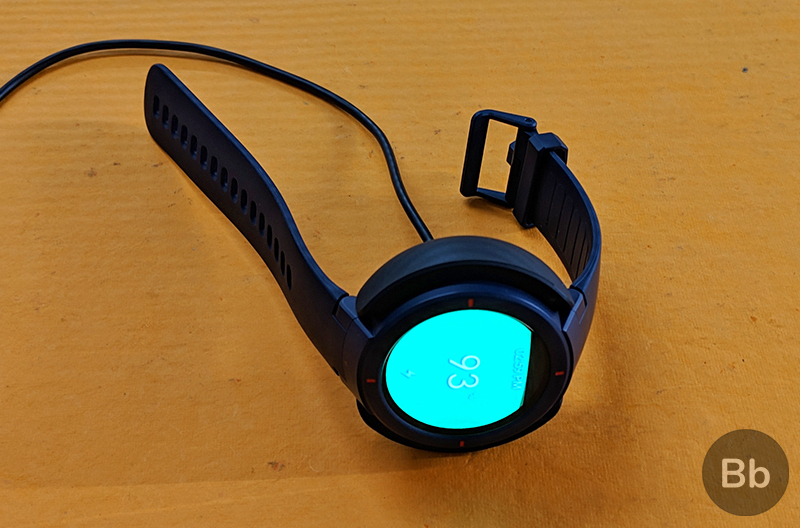 The Gear Sport costs almost Rs 3,000 extra but for that extra outlay, it brings slightly improved fitness tracking, syncs fitness data with the cloud, and has third-party app support. 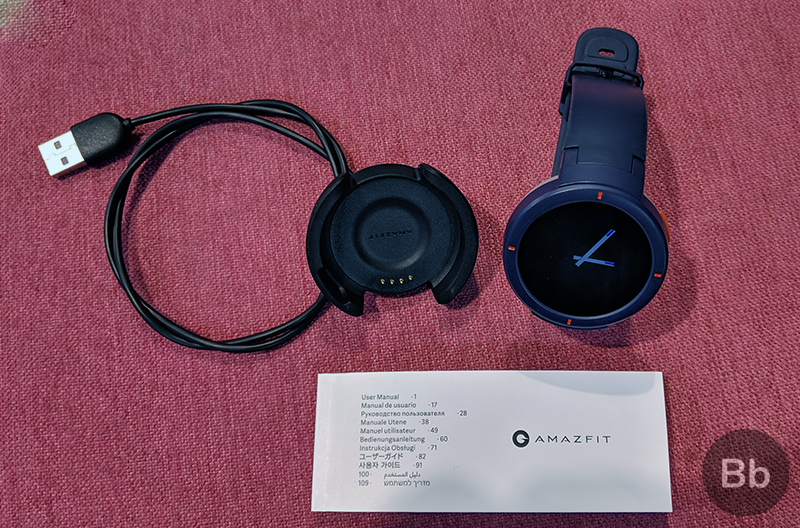 While Amazfit Verge feels like a worthy successor to the Amazfit Stratos, lack of certain features, especially support for swimming (which are present in the Stratos), can dissuade certain users. For most others, it is a great smartwatch which offers a high value for money. Beautiful display, dependable speaker, and extensive fitness tracking are some of the features that make Amazfit Verge a great value for money. If you don't mind the lack of third party app support, it will be a great buy for the price.